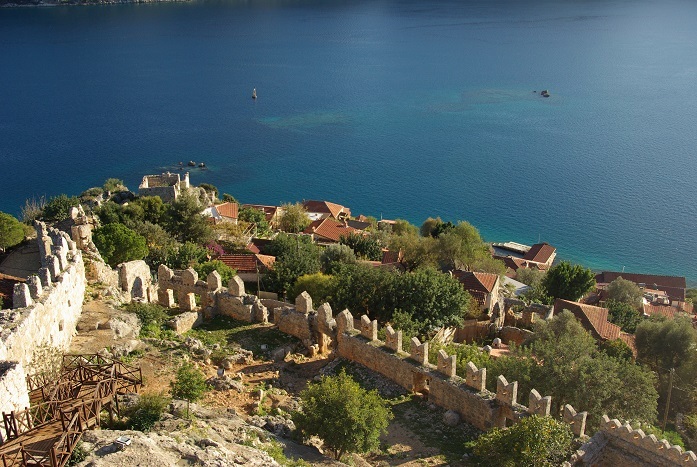 Kale Köy is one of Turkeys most popular tourist sights.Not only is the crusader castle overlooking the beautiful hamlet below, but the sunken city of Simena is also here. The castle is from the times of Byzantine but was for a period home to the knights of St John. To be alone here without summerheat was a real pleasure.